As the Sun starts to break through the clouds, the days become longer, the trees blossom and the daffodils bloom, everyone starts to look forwards to the Northern Hemisphere warming up and the beginning of summer. This is especially true of cyclists, who can put away their bibtights and leg warmers, hide their winter overshoes and tentatively leave the full finger gloves at home. 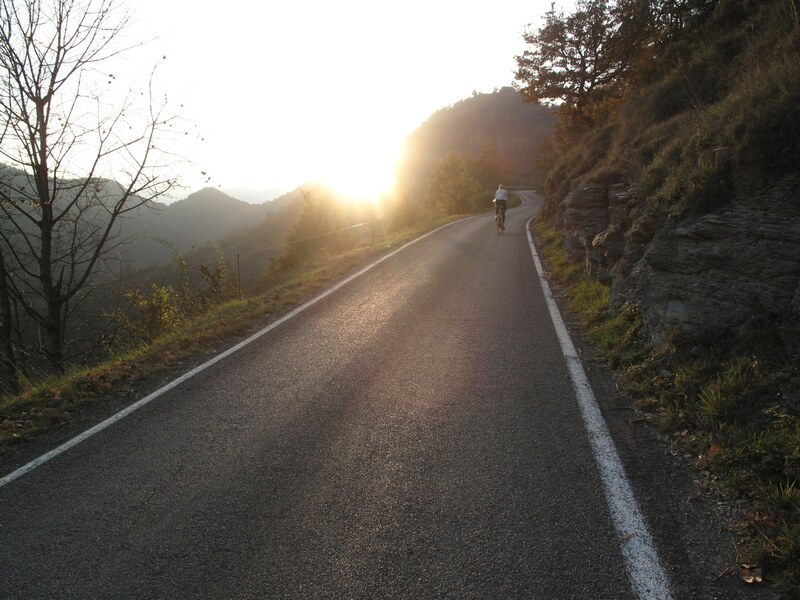 Where better to enjoy this weather on your bike than Italy? Whether it’s the challenge of the Italian Alps, the spectacular beauty of the Dolomites Mountains or the history of the ‘strada bianca’ (white roads) of Tuscany, Italy has so much to offer for every cycling tourist. As our name suggests, La Fuga began its life in Italy. The escape from the pressures of the city led us to travel in search of the best roads, the nicest hotels and some great food and drink. We now have a superb line up for the 2012 season with options for all levels of cycling enthusiasts. From our Rapha Randonnee Appeninni which takes in the best of the central Italian hills whilst tracing a meandering route from Lucca to Ascoli, to the Granfondo Girodana which pits thousands of cyclists against each other over the legendary climbs of the Passo Gavia and Mortirolo. Here we give you the low down on where to go this season to enjoy the sun and enjoy your cycling in Italy. 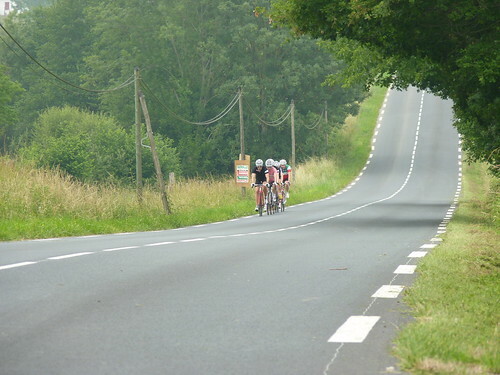 The Granfondo (known in French and English as the Sportive) is a true test of the cyclists’ will power. These events are run over very challenging courses for thousands of cyclists at a time, often on closed roads. 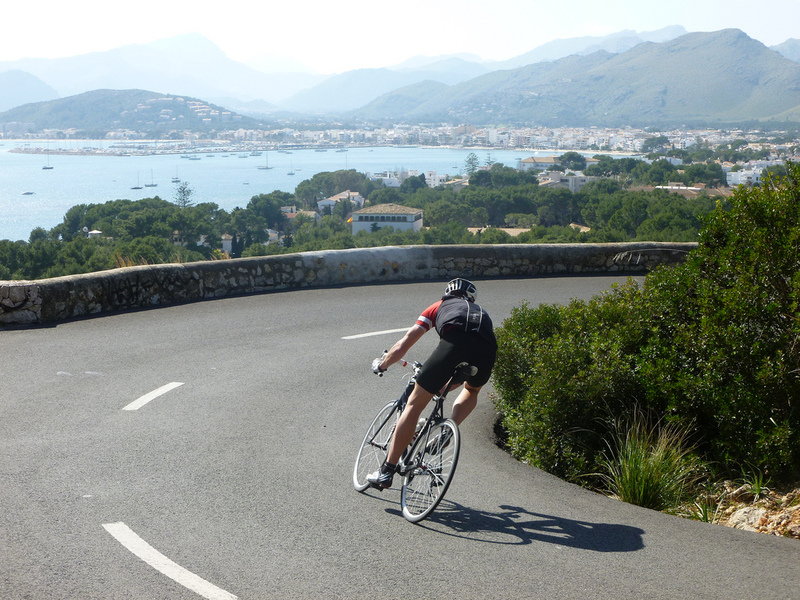 This gives every participant the chance to experience cycling in its purest form, with other cyclists, over the most spectacular and mythical cycling roads in the world. The Nove Colli, or nine climbs, is the biggest mass start sportive in Europe attracting 12,000 participants each year. We’re based in the beautiful coastal town of Cesenatico on the border of the Marche and Emilia Romagna regions where the event starts and finishes. Close to where legendary cyclist Marco Pantani grew up and cut his teeth, Cesenatico offers that special feeling of being close to the sea, whilst giving you a challenging cycling event. The long route is 200km in length and whilst the climbs aren’t long, with 3,840m total of climbing they are tough enough to make you appreciate the effort you have made at the end of the day over dinner and a glass of wine. The event is great for couples and families as the none-cyclists can take part in the festivities in town and on the beach whilst the cycling enthusiast wears themselves out on the day. The event is extremely well organised, with enthusiastic tifosi lining the toughest climbs. On the top of the ‘Barbotto’ climb the crowd can get up to three-deep with a commentator encouraging the riders to the top. This event was known as the Granfondo Marco Pantani until sponsorship and branding by the cycle clothing manufacturer took hold. 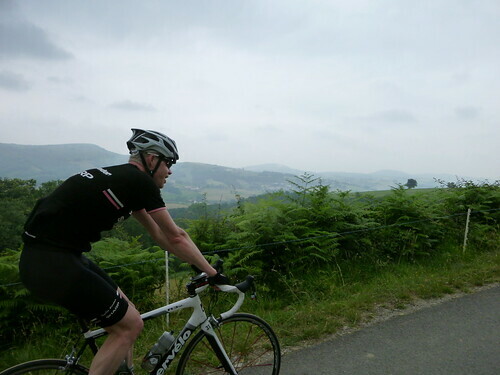 This friendly lower-key event is an extremely tough cycling challenge and definitely one that should be on the bucket list of any serious sportive aficionado. La Fuga make camp in the events start and finish town, the ski resort of Aprica so you have no worries about transferring to the event start or finish. This makes for a relaxing experience, letting you focus solely on preparing yourself for the event. The granfondo was originally named after the legendary climber because of its legendary climbs. The Passo Gavia is one of the most beautiful and spectacular climbs in Europe, and at 2,621m is the highest pass in the Italian Alps. It is perhaps most famous for the day that Andy Hampsten, climbed and descended the mountain in the snow to become the first none-European to win the Giro d’Italia in 1988. The Mortirolo was once said by Lance Armstrong to be the hardest climb he had ever ridden. At 12.8km and long steep sections up to 18%, you’ll want to make sure you have the right gearing before attacking this monster. The ‘Cima Pantani’ is the prize for the first rider to the top whenever this climb is featured in the Giro d’Italia and the Mortirolo is certainly a road the warrants the recognition. Check out the photos from last years event on flickr. 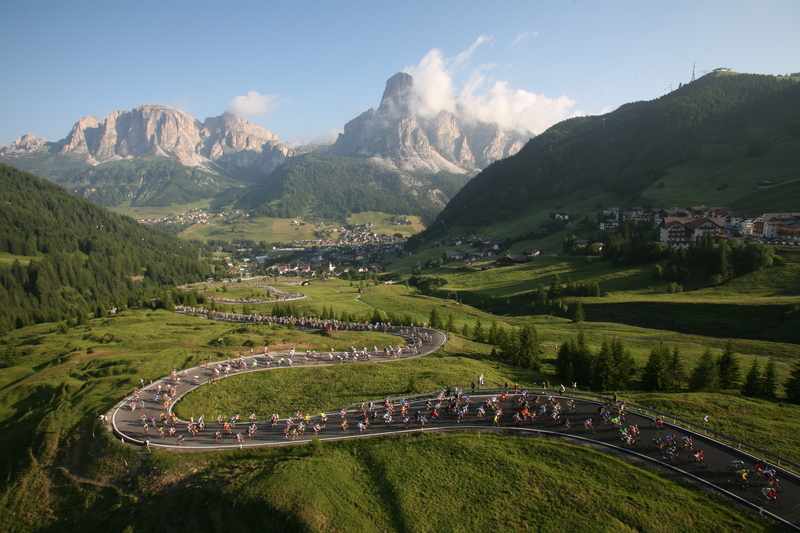 The Maratona has been a popular event with La Fuga guests over the years and 2012 is no different. 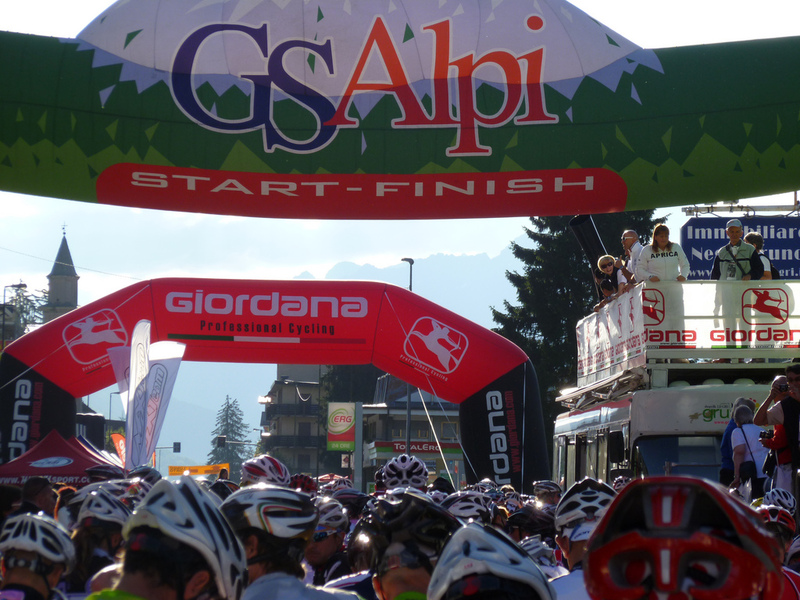 We run a weeklong tour which offers rides exploring the dolomites in the run up to the event and a weekend tour which focusses on giving you the best support for the Granfondo. Both of these sold out before we were even able to advertise them giving you an idea of their popularity. 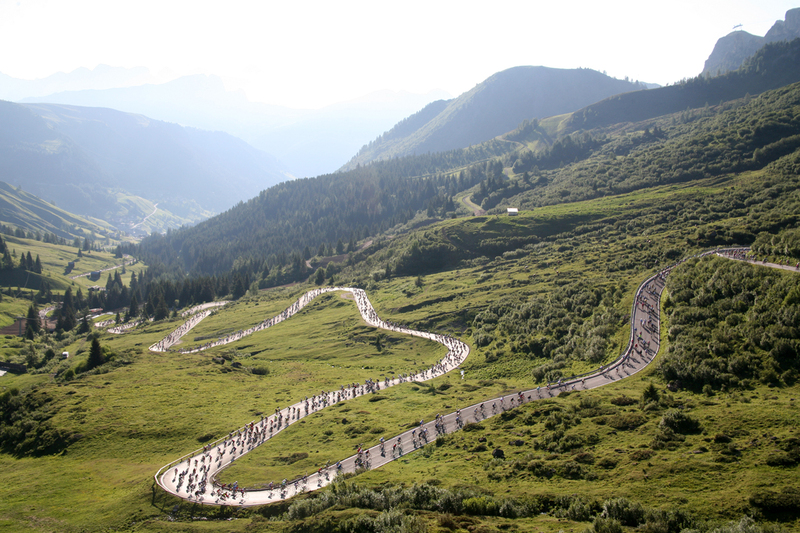 The Maratona is a festival of cycling for the region and is the only weekend that every hotel room will be sold out in the valley. 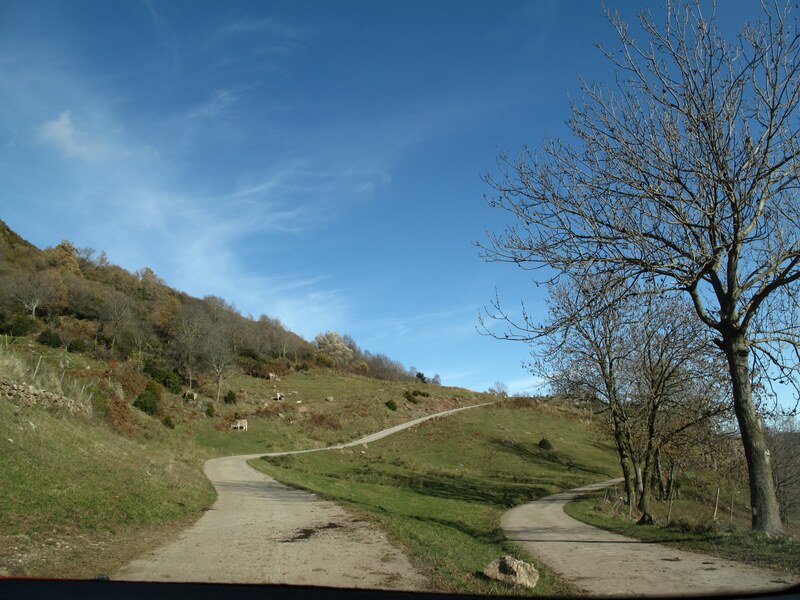 The 138km route offers impressive and challenging scenery equal and above to anything else on offer in the world. The Granfondo is organised to perfection with huge attention to detail, the feed stations are a sight to behold offering an array of treats to get you round. The route itself is tough with approximately zero flat over the full 138km, but the satisfaction of completing the event will far outweigh that sore legs feeling afterwards. The atmosphere in the valley is one not to be missed as everyone embraces the sport of cycling in all its forms. This end of season event offers something completely different to your regular Italian Granfondo experience. The event is for the real vintage cycling enthusiasts taking place on the Strada Bianca of the Tuscany region. Every competitor must embrace the heritage of cycling in the region and strict rules are placed on the bikes that are allowed to be used. The bike must date from before 1987, it must have downtube shifters and the brake cables must run out the top of the brake levers. Many competitors go the whole nine yards and dress in vintage cycling apparel for the occasion. Instead of energy drink and gels, the feed stations distribute a glass of Chianti wine to each participant. The white roads are an added challenge and give the event a fantastically original feel. If you’re looking for the perfect taste of Tuscany, then this is the event for you. 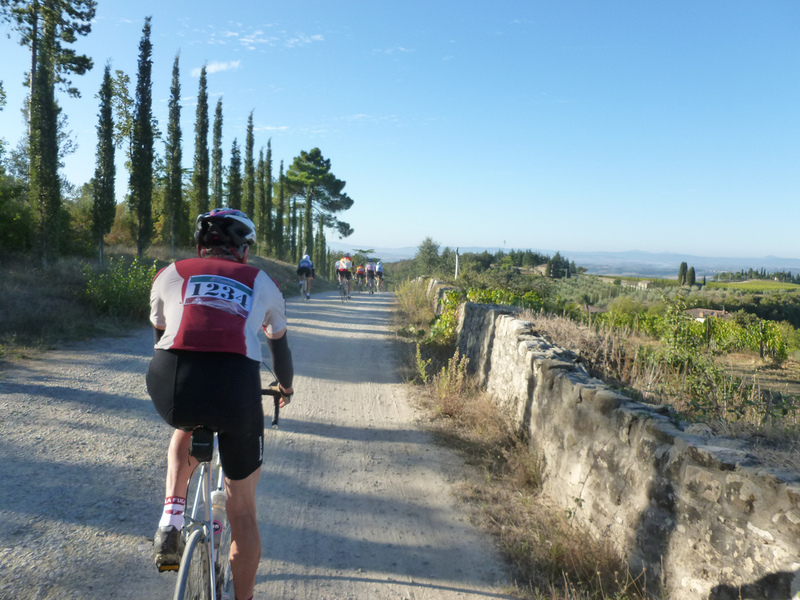 You can see photos from the 2011 Eroica event on Flickr. Starting from the famous waterways of Venice before heading deep into the Dolomites this 6 day adventure finishes on the shores of the incredible Lake Como. With each days ride averaging about 130km and all the time in the world you can really make the most of what the country has to offer in the company of some like-minded people. It would take a book to describe the incredible experiences offered on this trip so we’ll leave the imagination up to you. Starting in the gorgeous town of Lucca, known for its population of professional cyclists that choose to make it their home, and finishing in Ascoli, this Randonnee traverses the Apennine mountain range of central Italy. 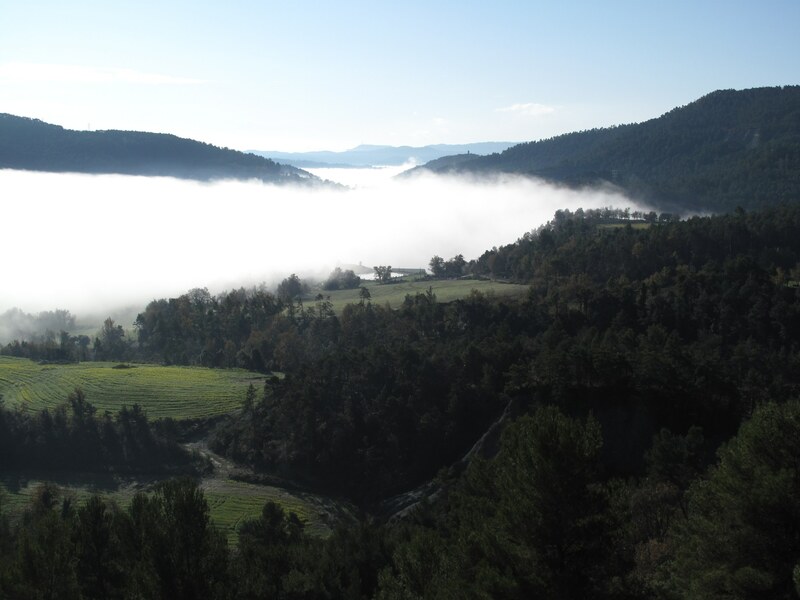 Perhaps less well known, these hills offer a superb tranquil setting to do some great rides and enjoy the terrain whilst making the most of your down time with some of the best hotels of any of our trips. This hidden gem of a trip will leave you wanting more. Check out the photos from last years Rapha Randonnee Appeninni on flickr. 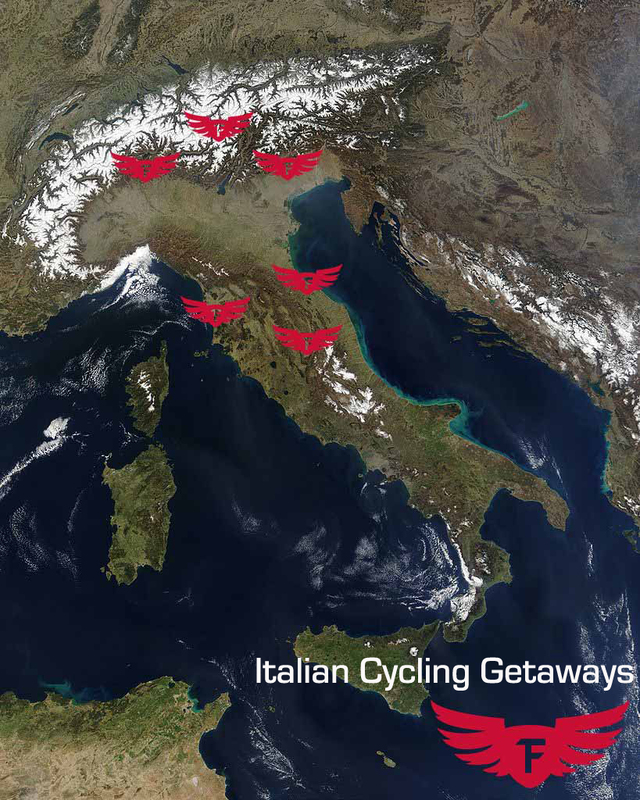 This weekend tour is a great way to end your season of cycling whilst enjoying the Lombardy region of Italy. We base ourselves in Bellagio on La Como, a great spot to climb to the top of the famous Madonna del Ghisallo climb where a chapel dedicated to cycling is found. You’ll also find the amazing cycling museum, with pieces that trace the history of the sport from its origins to the present day. We offer supported rides taking in the sights and sounds of the lake and climbing up into the hills of the area. We then head over to Milan on the day of the pro race before riding around the course to watch it in various locations before finishing on the top of the Ghisallo climb as the race nears its conclusion. From there we’ll jump into the café on top of the climb to see how the finale pans out as the tension mounts amongst the Italian fans. 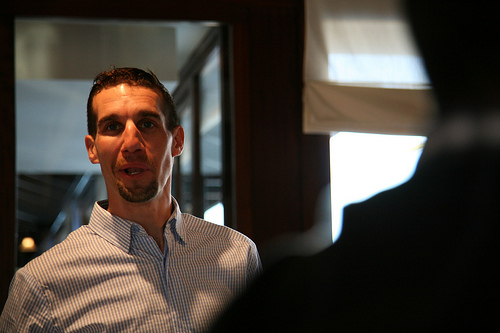 See some photos from last years Lombardia tour on Flickr. 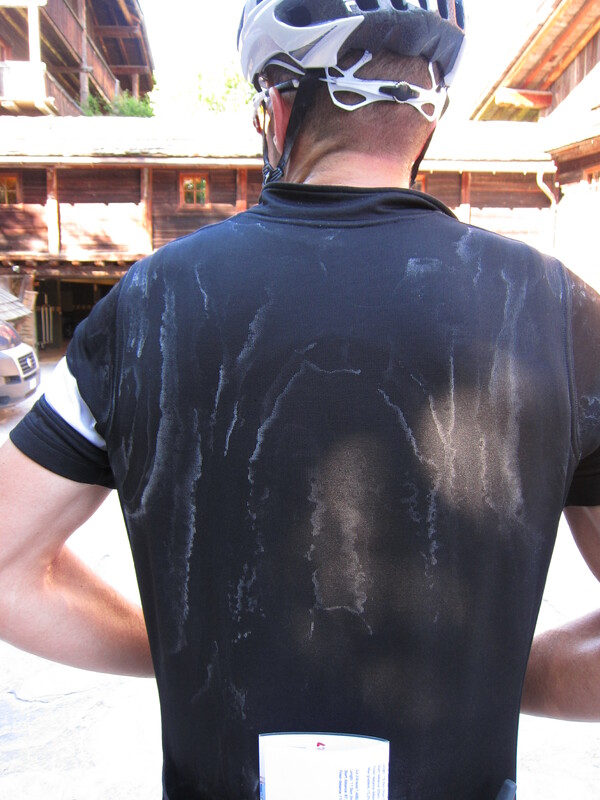 So make the most of your cycling this season and consider Italy.